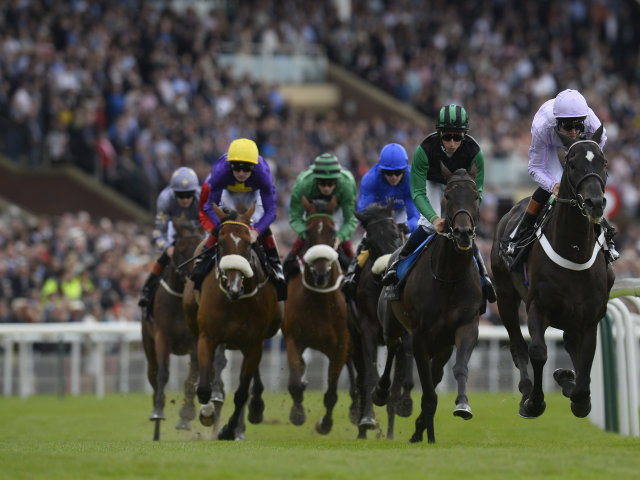 Timeform pick out three bets from York on Saturday. It took a while to get Mustashry back to the track this term but he's set to make up for lost time based on his Chelmsford handicap success last week. He overcame difficulties when winning by half a length from Masham Star, dropped out from a wide draw and having to come very wide on the home turn before staying on strongly to lead entering the final 50 yards, and looks capable of taking this step up in class in his stride. 2015 winner Mondialiste is likely to make bold bid to continue David O'Meara's excellent recent run in this race, while Sovereign Debt is also respected despite conceding weight all round. The Richard Fahey-trained Northwest Frontier, a son of Galileo who shaped well when just failing at Thirsk this month, is expected to improve now faced with a stiffer test and he gets the vote. That was his best effort to date, coming from further back than ideal in a race not really run to suit his style, and he clocked a good closing sectional in the process. He's open to further improvement and is preferred to Intellect who gave his rivals a hammering at Newbury and will be a big threat if proving equally effective on quicker ground here. Master Singer and Qaviy Cash are also of interest. This looks a very competitive handicap, but Khairaat, UAE Prince and Baydar are all of interest, each having suffered interference caused by Dark Red in a handicap at Goodwood earlier this month. A compelling case can made for all three, but preference is for the Sir Michael Stoute-trained Khairaat who produced a clear career-best, doing well to finish so close from a less-than-ideal position that day and, with just half-a-dozen starts under his belt, should have more to offer.